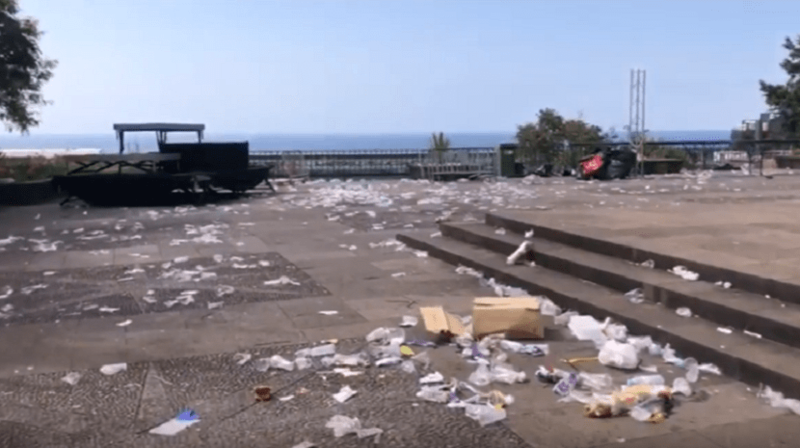 The local authority has already told the Café do Teatro group that it is the responsibility of cleaning the premises after the party. The information of the autarchy was transmitted after the news and video that gives account of the state that that public space was published after the party of last night was published. Yesterday, at the end of the day, the Café do Teatro promoted a show at the belvedere of Santa Catarina Park with the artist Lucenzo. The sunset was dedicated to the anniversary of the city of Funchal, which is Tuesday 510 years and was announced as a show with lots of Latin music with the presence of the voice of the world-wide mega-hit ‘Come Dance Kuduro’, Lucenzo accompanied by DJ R ‘NA, your official DJ.